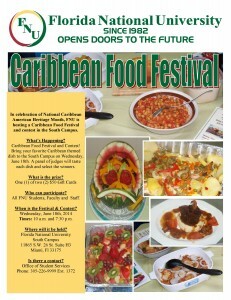 In celebration of National Caribbean American Heritage Month, FNU is hosting a Caribbean Food Festival and contest in the South Campus. Please click on the flyer for details. Morning session will be held at 10:00 a.m.; evening session at 7:30 p.m.